The kitchen is one of the most important rooms in the house. Most home owners use the same kitchen for years, but when you do decide to renovate, there are some important steps to consider. These include adding a fresh coat of paint, choosing attractive tiles for the floor, looking for the best kitchen exhaust outlets and getting a well-integrated plumbing and sewage outlet. 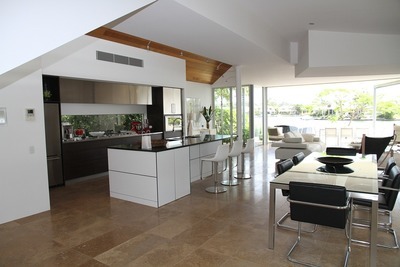 Picking the right lamps and optimising space is also required to make your kitchen look large and attractive. The first thing to do when thinking of kitchen renovations is to create a plan. If you have hired an expert for the task you will not have to worry about the plan. But if you want it to have an impression of your personality, you should plan on your own. 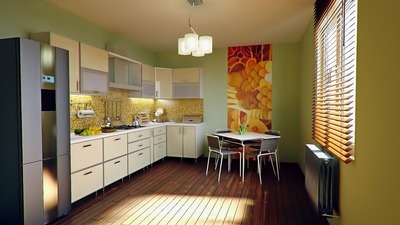 It is better to hire the local kitchen design professionals to get the best of your renovated kitchen décor. You should start by making a list of all the things you need in your kitchen. This would include the number of drawers you need and how big they need to be. Other things like size of cabinets and number of seats at island should be mentioned. Try to keep things thorough and take advises from all your family members to ensure you do not leave anything. You can search for the kitchen remodeling ideas from the internet, and then customize the design and layout that suits well to your entire home décor. Thus, you should take a look at some pictures of best kitchens on the internet. There are more photos online than you will ever need. To have a more realistic view, you can visit the houses of those friends who just completed kitchen renovations. It is quite obvious that you would want the place to look absolutely sensational. You would like to use the modern tiles and other things to make that happen. But you should first think of the utility. Your kitchen is the place you cook meals for you and your family. So, it has to be renovated primarily from that point of you. Try to make it beautiful along the way. Before you get started with the kitchen renovations, you should consider a few things that will avoid any mistakes and will ensure that you follow the right procedure. Some of these things are mentioned below. Budget: The most important thing is to make a budget. It is not as complex as it sounds. All you need to do is to set an upper limit of the amount of money you can spend on the renovations. If your budget is too low, you will not get what you want. And if it is too high, you will later regret spending so much money. You can go for a packaged kitchen renovation scheme, where you do not need to spend any additional amount for the remodeling of the kitchen. Material: The changes you make during this remodeling will stay that way for a very long time. You will not be doing this again after a couple of years. Thus you should make sure that the things are durable. Wood and PVC are two materials which are popular with the recent home makers. You can easily find the list of best materials for different parts of the kitchen, like countertop, cabinets, etc.